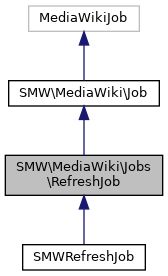 RefreshJob iterates over all page ids of the wiki, to perform an update action for all of them in sequence. 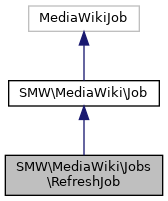 This corresponds to the in-wiki version of the SMW_refreshData.php script for updating the whole wiki. This class ignores $smwgEnableUpdateJobs and always creates updates. In fact, it might be needed specifically on wikis that do not use update jobs in normal operation. If more than one run is done, then the first run will restrict to properties and types. The progress indication refers to the current run, not to the overall job. Report the estimated progress status of this job as a number between 0 and 1 (0% to 100%). The progress refers to the state before processing this job.